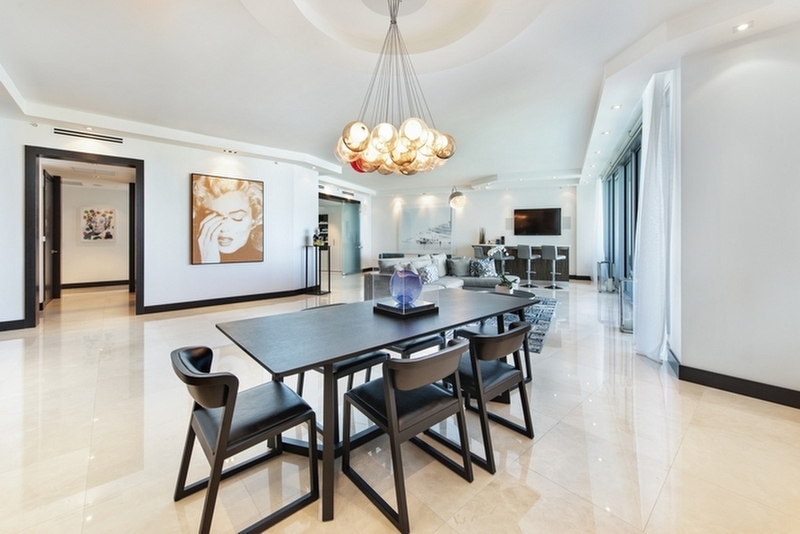 Linda G Properties & ONE Sotheby's International Realty presents a new exclusive listing - Ritz-Carlton | ONE Bal Harbour luxury oceanfront condominium residence #2204. 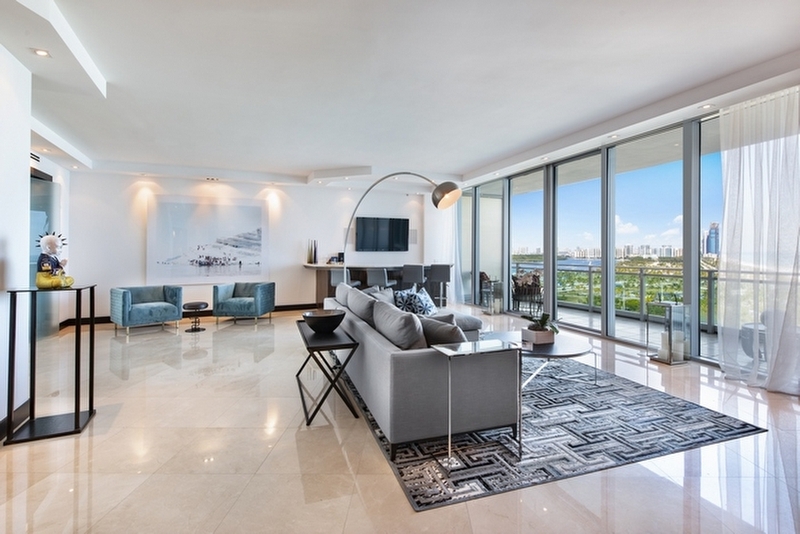 Exceptional highly sought after "flow-thru" floor plan corner residence with breathtaking unobstructed views of the ocean, coastline, Intracoastal Waterway, Haulover Inlet and Miami Skyline. Wrap-around "infinity" terraces provide an additional 500+ square feet of outdoor living and entertaining space. Enjoy sunrises over the ocean and golden sunsets over the bay & Intracoastal in the evenings. 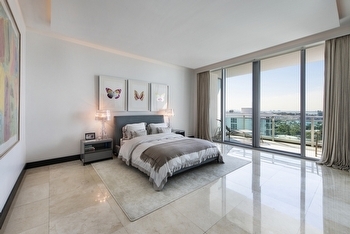 Residence #2204 was meticulously finished by Interiors by Steven G.
Enjoy all the residents only world-class ONE Bal Harbour amenities and services, which include beach & poolside services, restaurant, spa, private theater, social & game rooms, and much more offered to all residents of ONE Bal Harbour. 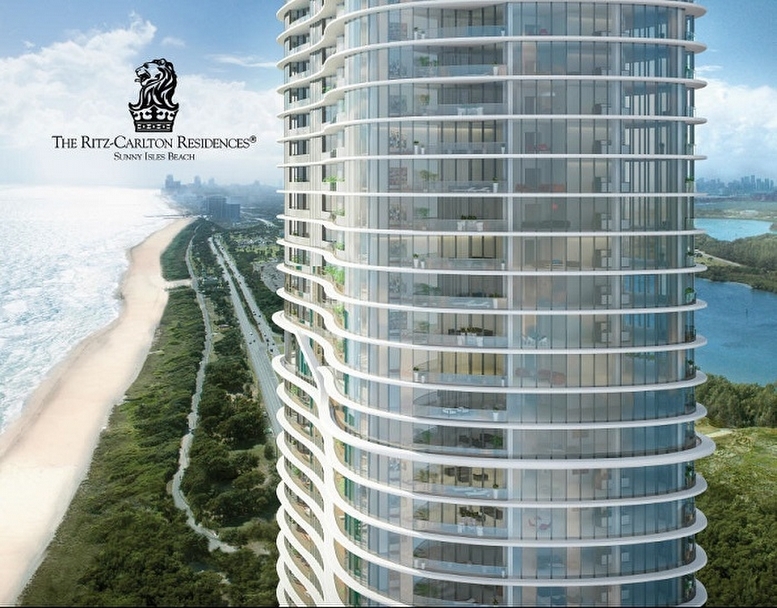 Also enjoy your special access to the opulent world-class amenities & white glove services provided by the Ritz-Carlton Resort Bal Harbour. 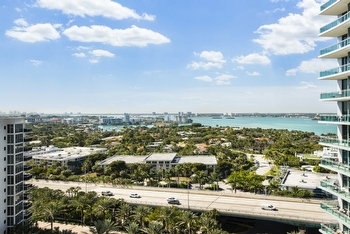 Minutes from the world-renowned shopping and fine dining at the Bal Harbour Shops and many other shopping and dining choices in Bal Harbour, and throughout this beautiful and exclusive area of Greater Miami Beach. 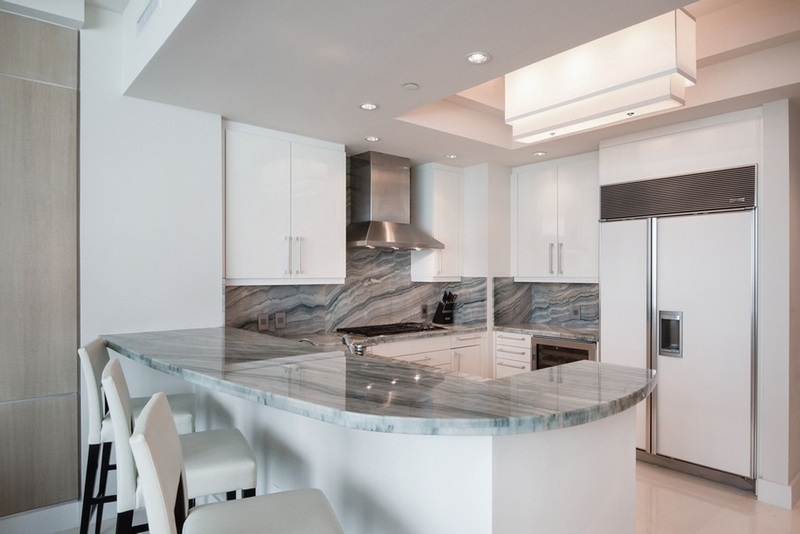 Please contact Linda "G" directly for your personal tour of this luxury condominium residence and the exclusive ONE Bal Harbour condominium property. 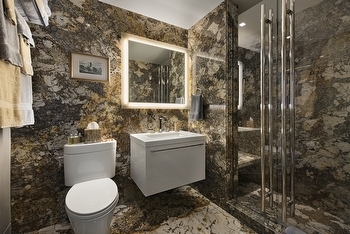 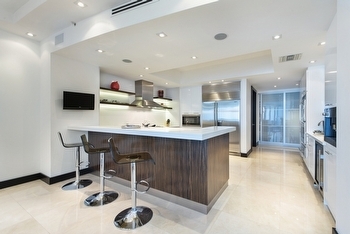 Exceptional Residence - Beautifully renovated reflecting a modern sophisticated elegance of flair and design. 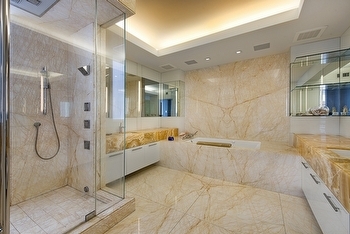 Meticulously finished from foor to ceiling. 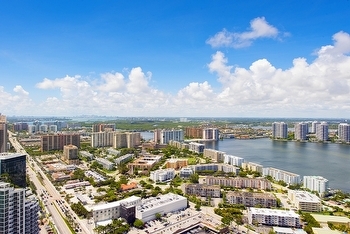 Sweeping terraces offer reflecting shimmering panoramic views of the Ocean, Intracoastal Waterway, and Haulover Inlet. 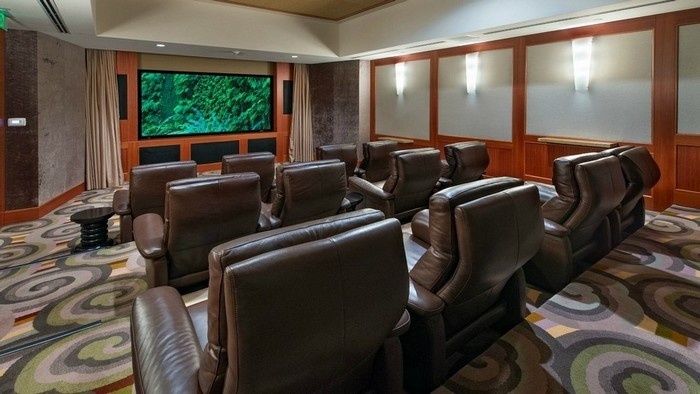 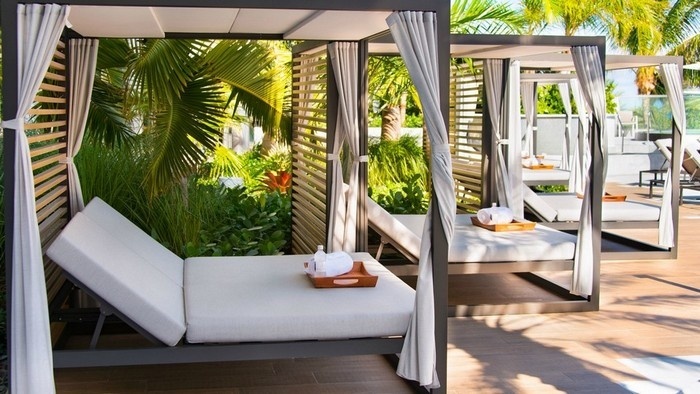 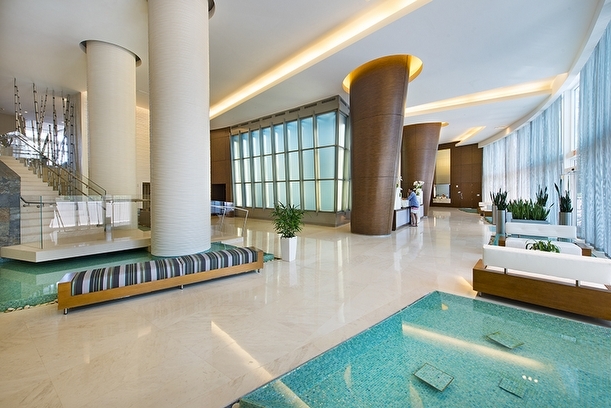 Exclusive access to the opulent 5-Star Ritz-Carlton Resort amenities. 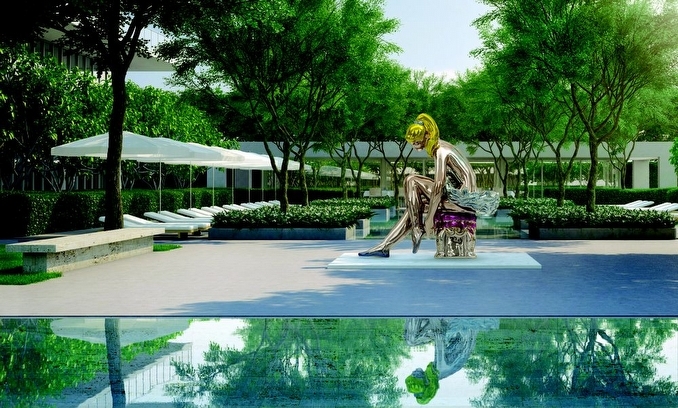 Moments away from world-renowned shopping and dining at the Bal Harbour Shops. 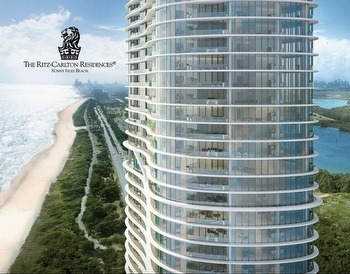 Contact Linda "G" directly for appointment to tour this luxury residence and the 5-star Ritz-Carlton Bal Harbour, Miami Beach Resort. 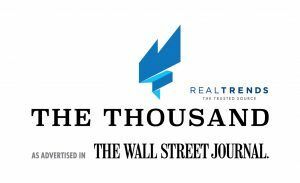 Real Trends and Wall Street Journal top 1000! 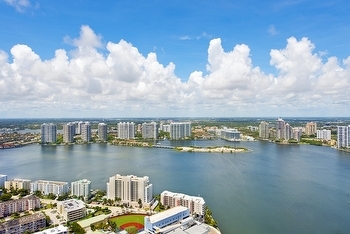 Sotheby’s International Realty Affiliates LLC today announced that the Sotheby’s International Realty® brand claimed 40 of the top 250 sales associates in the Individual Sales Volume category of the 2018 REAL Trends/The Wall Street Journal “The Thousand.” In addition, 12 teams affiliated with the Sotheby’s International Realty brand were recognized as being among the top 250 teams in the nation by sales volume. 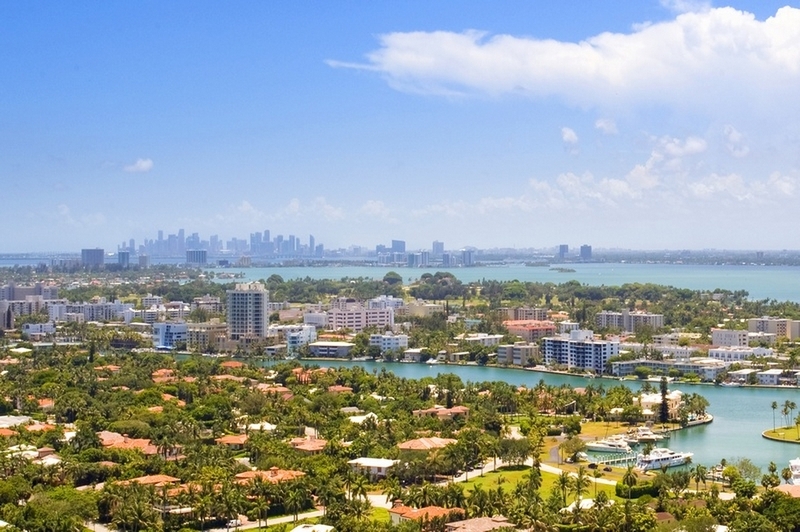 The annual report ranks America’s top 1,000 residential real estate agents and teams based on 2017 annual sales volume and transaction sides. The Sotheby’s International Realty network currently has more than 22,000 affiliated independent sales associates located in approximately 950 offices in 70 countries and territories worldwide. 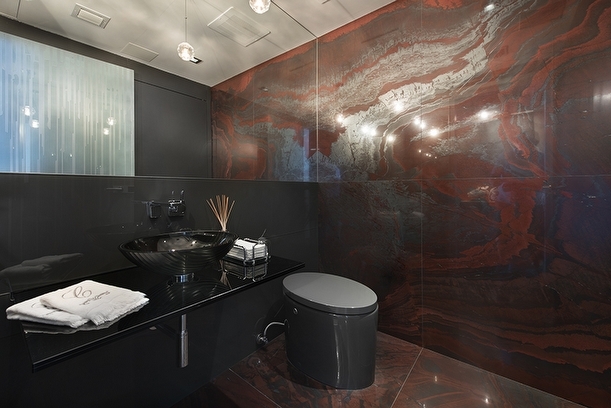 In 2017, the brand achieved a record global sales volume of $108 billion USD. 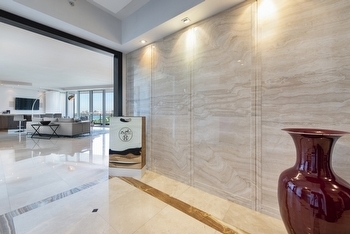 Sotheby’s International Realty listings are marketed on the sothebysrealty.comglobal website. 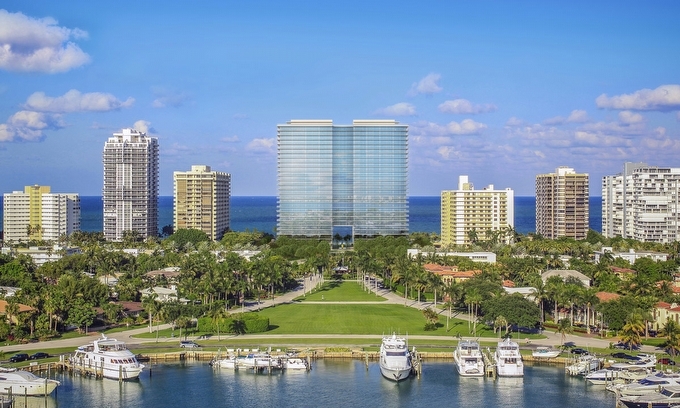 In addition to the referral opportunities and widened exposure generated from this source, the firm’s brokers and clients will benefit from an association with the Sotheby’s auction house and worldwide Sotheby’s International Realty marketing programs. 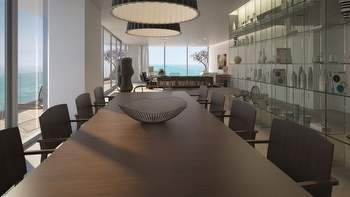 Each office is independently owned and operated. 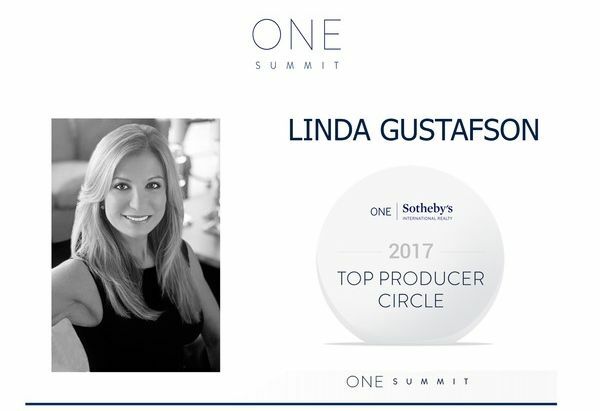 [ FOR IMMEDIATE RELEASE ] ONE Sotheby's International Realty proudly announces that Linda "G" Gustafson has been inducted into the 2017 TOP PRODUCER Circle at the recent ONE Summit Event. This prestigious award was a result of 2016 sales volume which placed Linda "G" within an exclusive group of the top (25) associates, standing as incredible entrepreneurs who are the true leaders in the real estate industry. 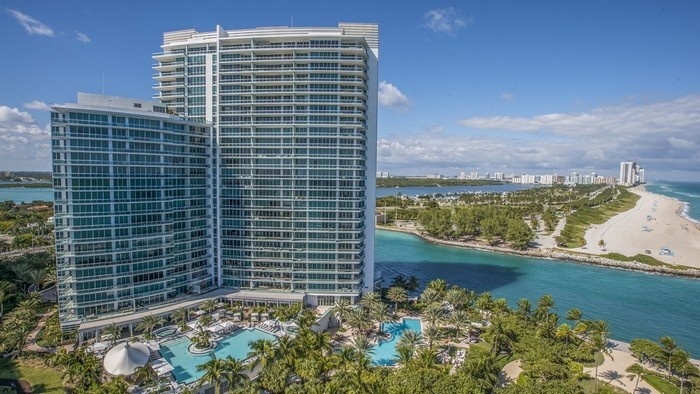 Linda "G" stated, "It was a privilege and honor to be recognized at the ONE Summit Annual Conference which was held at the JW Marriott Marquis Hotel in Miami on March 17, 2017. I am greatful to be such a part of such a powerhouse international real estate brand. I will always strive to exceed my client's expectation and ensure that they always receive the highest caliber of service." 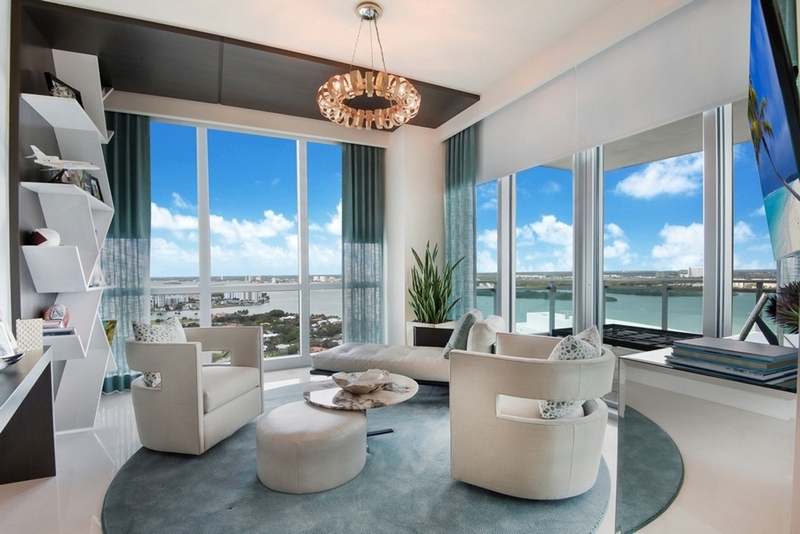 [ PRESS RELEASE – 8/25/2016 Miami Beach ] Linda “G” of Linda G Properties announces a luxury Penthouse sale at the oceanfront Trump Royale condominium at the Trump Grande Resort in Sunny Isles, Miami Beach. The top floor #5501 Trump Royale Penthouse sale price of $2,600,000 is the highest price per square foot sale to date in 2016 at the Trump Royale condominium. The Trump Royale condominium is one of three luxury oceanfront properties within the 11-acre Trump Grande Resort property. 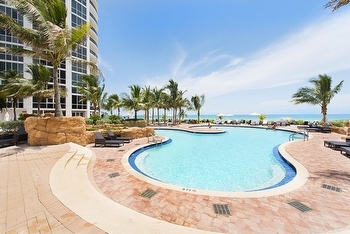 The two luxury condominiums and 5-star luxury hotel offers 4 beachfront pools, tennis courts, world-class spas with gyms, cabanas, beach services, multiple restaurants and lounges both indoor and outdoor, lushly landscaped resort-styled grounds, and many more exceptional amenities and services. 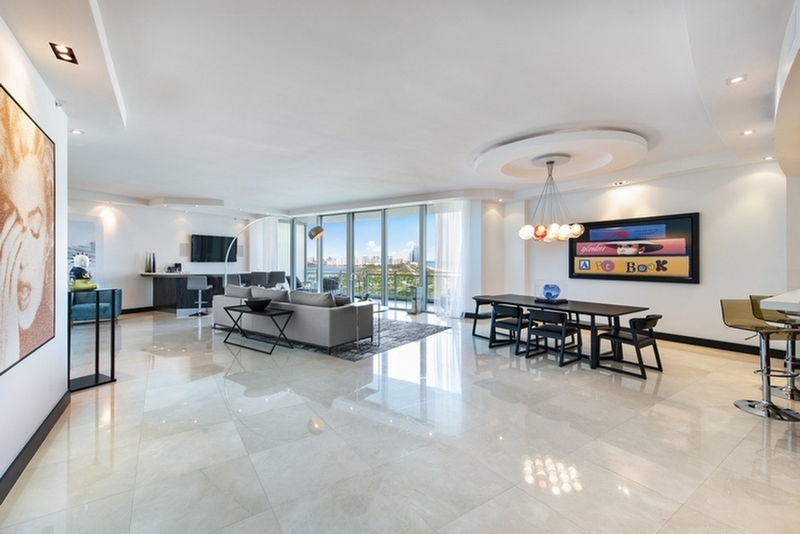 The Trump Royale #5501 Penthouse features 3 bedrooms, 3 1/2 baths within the expansive 3,106 square feet under air floor plan. 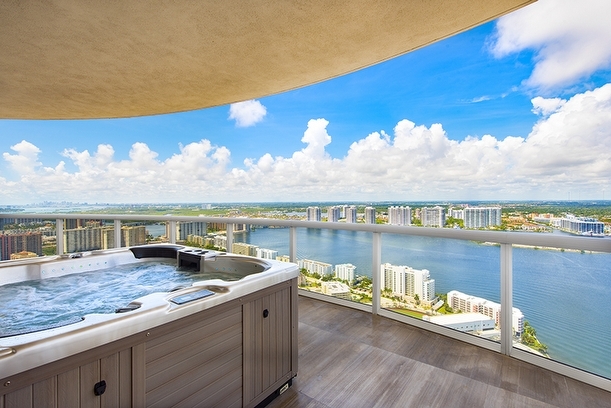 The luxury penthouse features also include: panoramic views of the ocean, Intracoastal Waterway and Miami over the bay from the expansive terrace and floor-to-ceiling glass windows, 2 fireplaces, a fully-appointed open chef's kitchen, Smart Home electronics and much more. The expansive terrace and balcony includes a Jacuzzi with additional spacious outdoor living space. 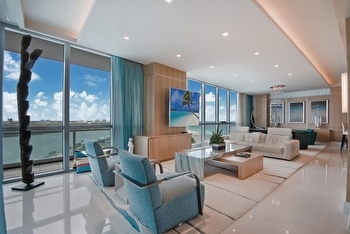 The Trump Royale condominium was completed in 2008. Rising 55-stories above the beach with 278 luxury residences offering one- to four-bedroom luxury residences from approximately 880 to over 11,000 square feet under air for select penthouse homes. 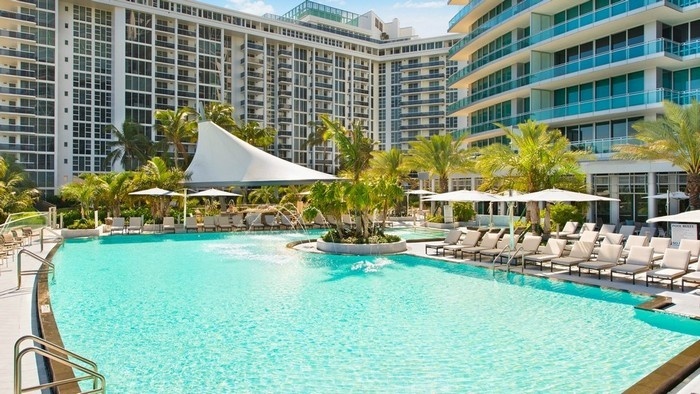 As stated above, the Trump Grande Resort property is comprised of 3 properties: the Trump Royale condominium, the Trump Palace condominium, and the 5-star Trump International Resort hotel. 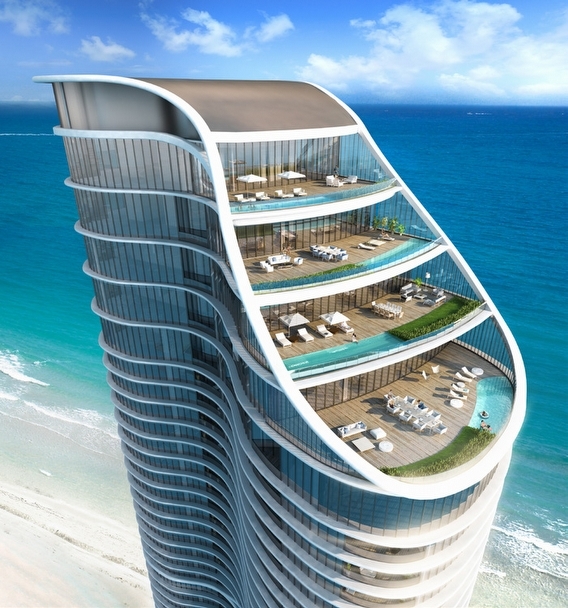 "The Trump Grande Resort is an expansive beachfront and oceanfront property with world-class resort designs, features, amenities and services. 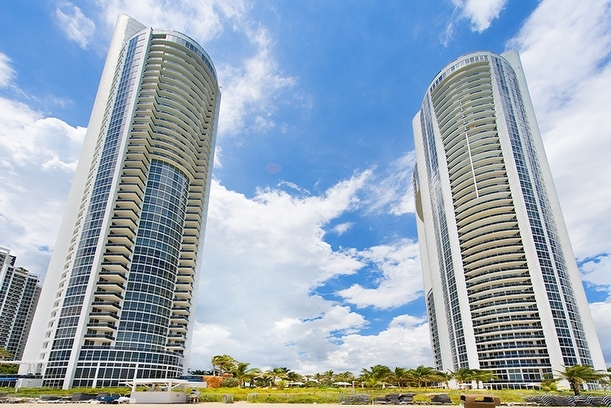 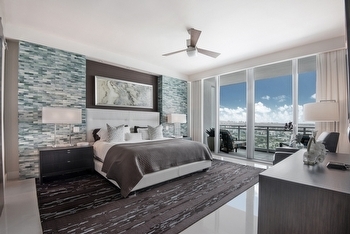 Luxury condominium residences are available at both the Trump Royale and Trump Palace. 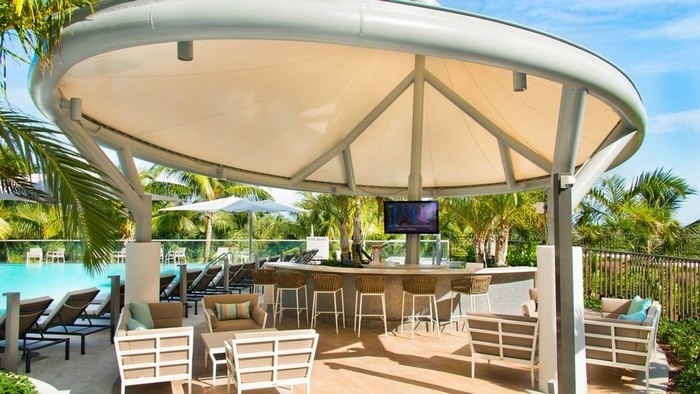 The features, amenities and services offered throughout this exclusive resort property are 5-star and provide residents and guests with a highly sought after resort-styled lifestyle." stated Linda "G". Linda "G" added, "Please view all the information on the Trump Royale, and over 200 luxury oceanfront and waterfront condominiums, including over 40 new construction luxury condominiums from Miami Beach, Bal Harbour, to Fort Lauderdale on my South Florida luxury real estate website at www.LindaGproperties. I hope you will browse all our luxury real estate information and contact me if you are listing your home or looking for your new home in this beautiful area of South Florida." 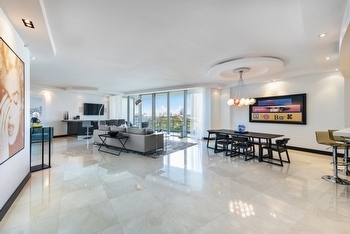 The sellers of this luxury Trump Royale penthouse, the Carson's added, "It has been a pleasure to work with Linda "G" and her team at One Sotheby's International Realty. 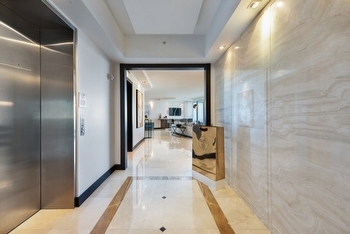 We had interviewed other brokers but she was the most impressive and the person we thought would get the job done, and not in the best of real estate markets at the time we listed our property. 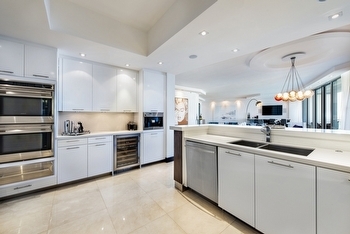 She assisted with staging, correct pricing, and marketing of our unique property. 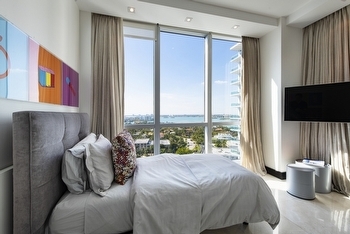 She was responsive to our needs and willing to go out of her way to make us feel comfortable. Linda G is an exceptional professional with lots of knowledge of the real estate market in our area as well as others in Southeast Florida, all of which led to a successful closing. 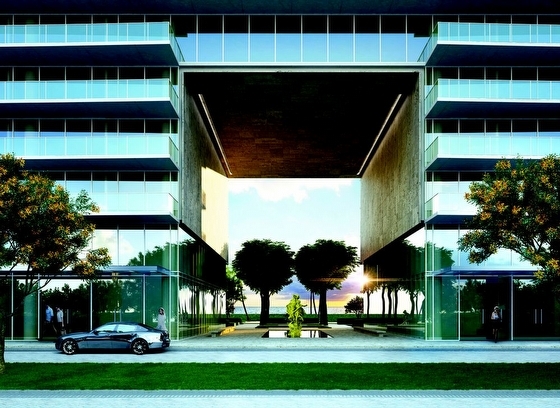 We also must give Robert Green, our building manager a lot of credit. 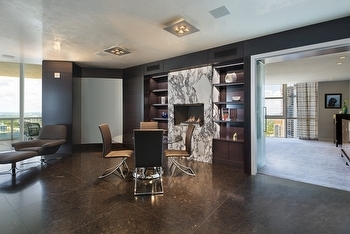 He worked with Linda "G" and us, as well as the new owners, to ease the selling/buying process along. 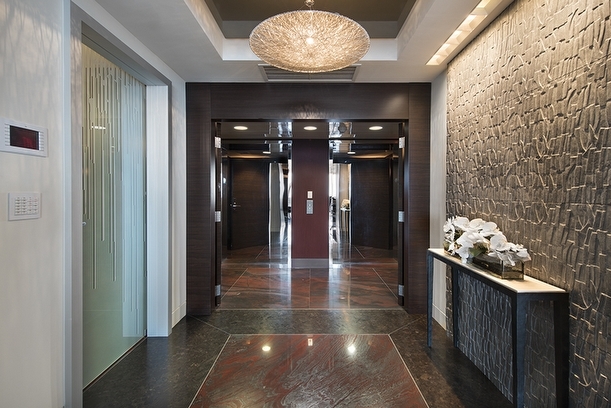 He is also a true professional, and a really nice man who we will dearly miss." 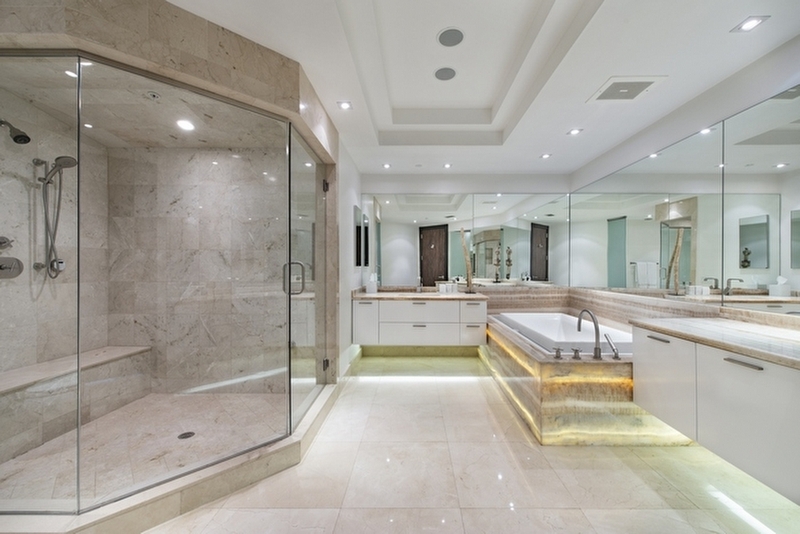 In her 20+ years of selling luxury real estate, Linda "G" Gustafson has been privileged to work with the world's most affluent clientele throughout her exciting career. 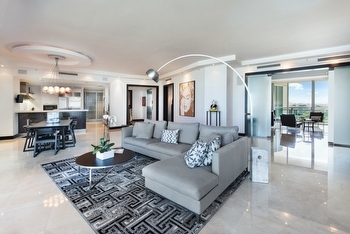 Linda G's integrity and strong work ethic has enabled her to be a recipient of numerous awards including multiple consecutive year awards of the Prudential Realty's Chairman's Circle Platinum Award, WCI's Top Producer Award and has been ranked in the top 1% of Top Producers nationally and among the Top 50 Realtors by the Wall Street Journal. 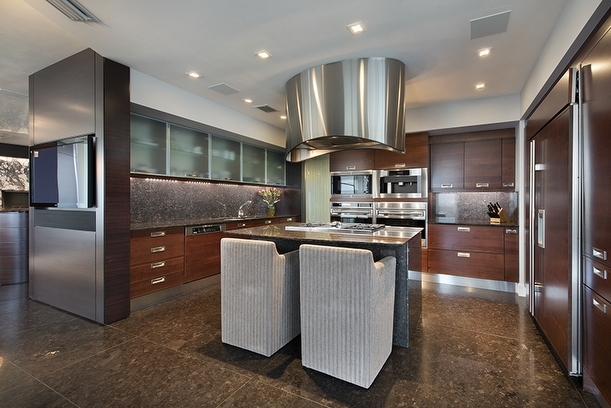 Linda "G" is a select member of the Institute of Luxury Home Marketing, where she received the Million Dollar Guild Award for multiple million dollar-plus transactions. 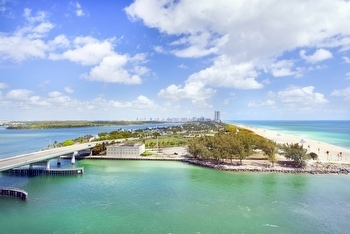 Linda "G" joined the prestigious ONE Sotheby's International Realty in 2009, providing the finest in luxury real estate sales and listings of luxury oceanfront condominium residences, and luxury estate homes specializing in Bal Harbour, Sunny Isles Beach, Miami Beach, Aventura and Fort Lauderdale locations. Linda "G" has been recognized each year including already in 2016 as a Top Producer at ONE Sotheby's Realty with sales in excess of $140 million. 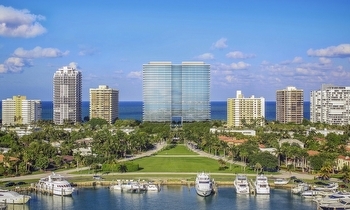 As one of the fastest growing luxury real estate brokerage firms in South Florida, ONE Sotheby's International Realty has nine offices in Fort Lauderdale, Coral Gables, Miami Beach, Bay Harbor Islands, Aventura, Sunny Isles, Brickell and Key Biscayne, and has recruited more than 400 agents since its inception in 2008. 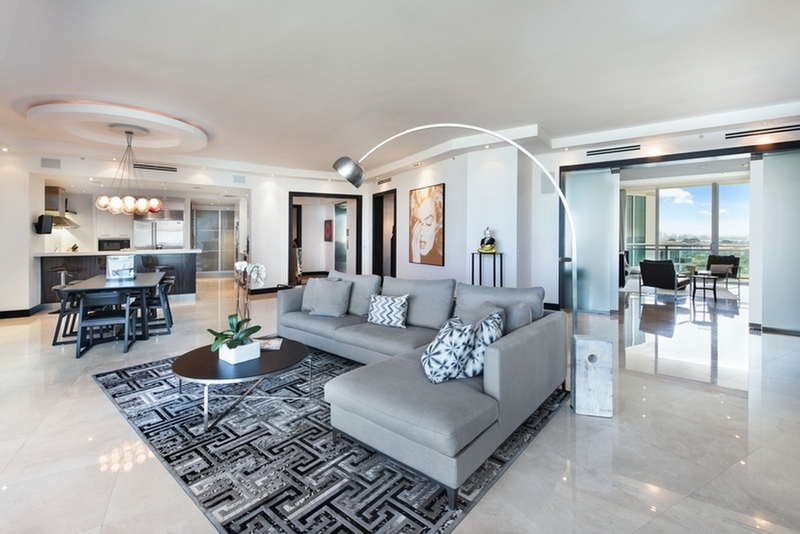 An affiliate of Sotheby's International Realty, the global network currently has more than 13,000 sales associates throughout 670 offices in 49 countries and territories worldwide. 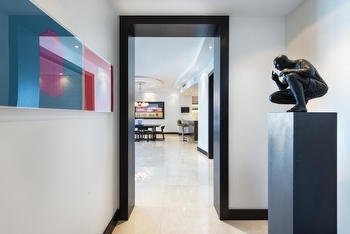 ONE Sotheby's International Realty also benefits from an association with the venerable Sotheby's auction house, established in 1744. 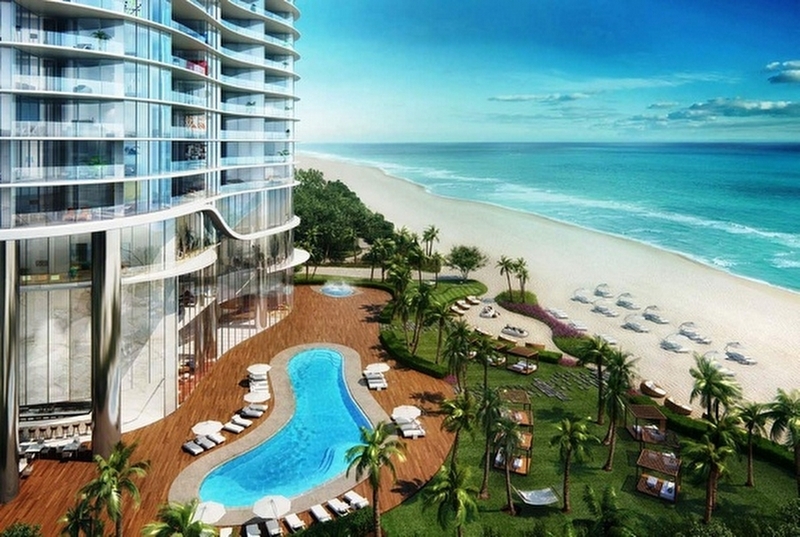 [ PRESS RELEASE – 8/1/2016 Miami Beach ] Linda “G” with ONE Sotheby’s International Realty announces a significant luxury condominium sale at the under construction oceanfront Eighty Seven Park Miami Beach Condominium. The Eighty Seven Park Residence #402 is an oceanfront southern wrap-around corner residence with breathtaking views of the ocean and the expansive oceanfront North Shore Open Space Park directly to the south. The residence is 2,467 square feet under air with an expansive 1,715 wrap-around terrace offering panoramic 270 degrees of ocean, coastline and park views. 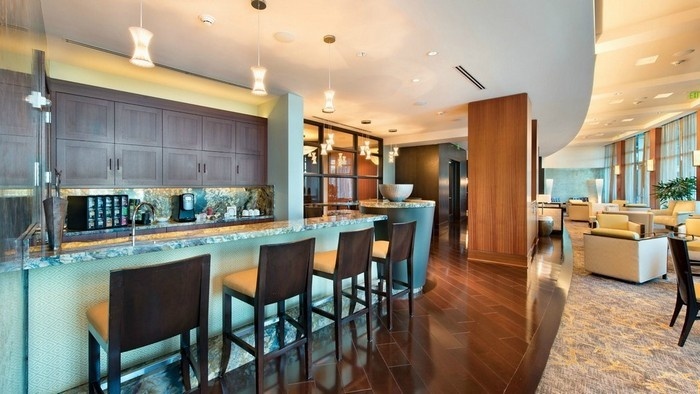 The expansive floor plan features 3 bedrooms and 3 1/2 baths. 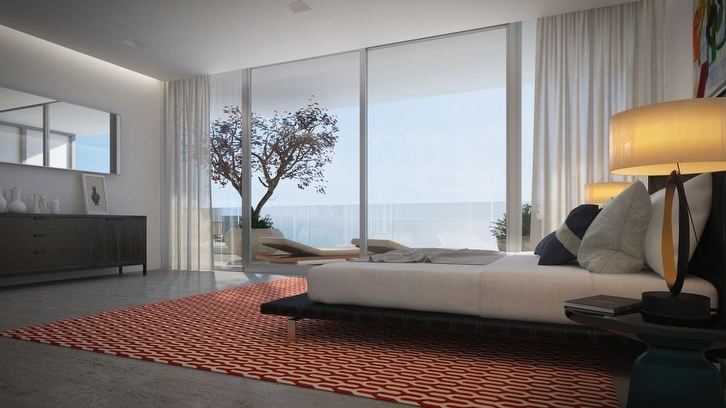 Floor-to-ceiling glass and the expansive terrace provides sunrise views over the ocean, and golden sunset views to the south and west. Linda "G" represented the buyer in the sale of this luxury condominium. 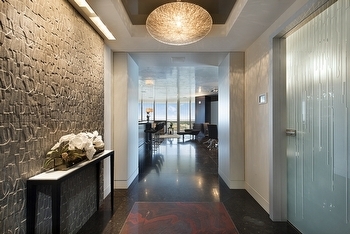 Sale price not disclosed at this time. 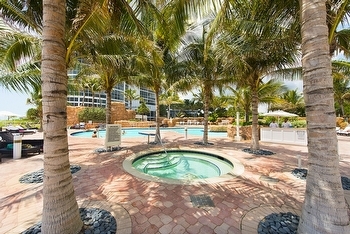 Please contact Linda "G" directly for sale price. Designed by Pritzker prize winning architect Renzo Piano, Eighty Seven Park is located at the northern edge of the largest oceanfront park in Miami Beach. 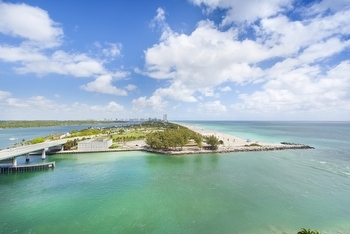 The park offers 35 acres of expansive tree rich green space with beach to the south, providing beautiful views, recreational areas and much more. The landscape design of Eighty Seven Park brings the trees and landscaping from the park directly into the property and among the ground floor lobby and common areas. Residents can enjoy not just the park, large property, beach, but also a private residents only 2 acre park directly north of the flowing elegantly designed glass tower. 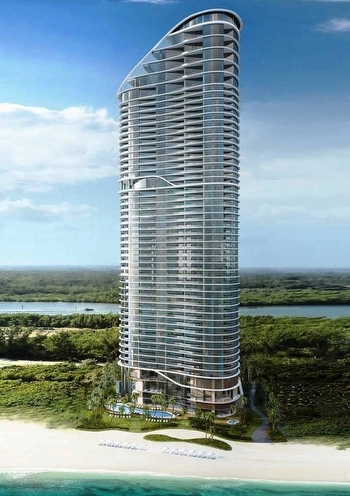 The property and landscaping has been designed for Eighty Seven Park to appear to rise from the park and surrounding water. 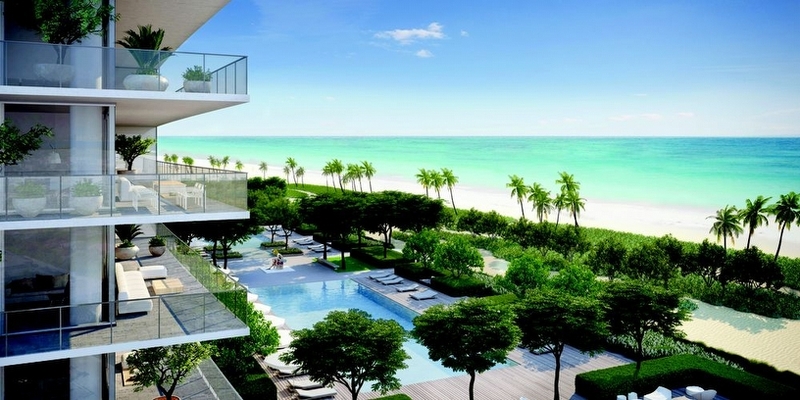 Eighty Seven Park broke ground in January 2016 and is projected for completion in late 2017. Rising above the beach with 18 residential stories, Eighty Seven Park features only 70 luxury residences with 1- to 5-bedroom floor plans offered, with under air square footage of approximately 1,000 to over 4,000 square feet for most residences. 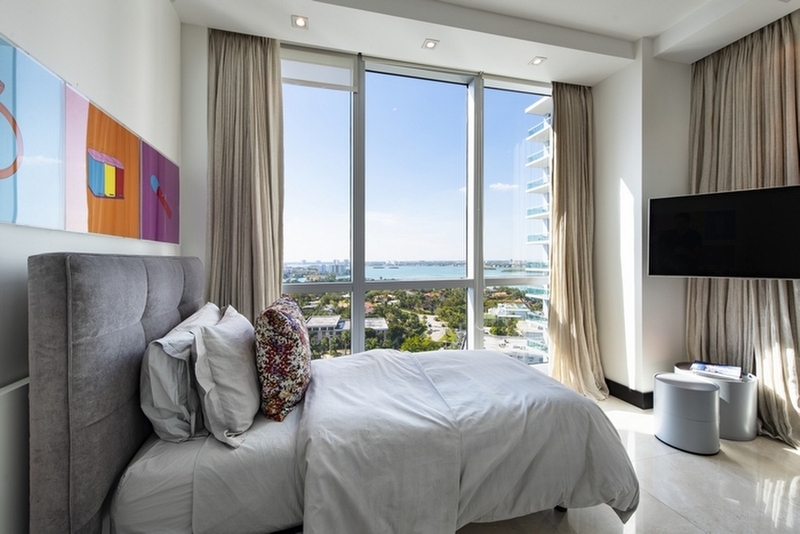 All the Eighty Seven Park residences feature large balconies and terraces, often 75% of the interior space for additional outdoor living space with all floor plans offering summer kitchens and more on the oversized terraces and sundecks. 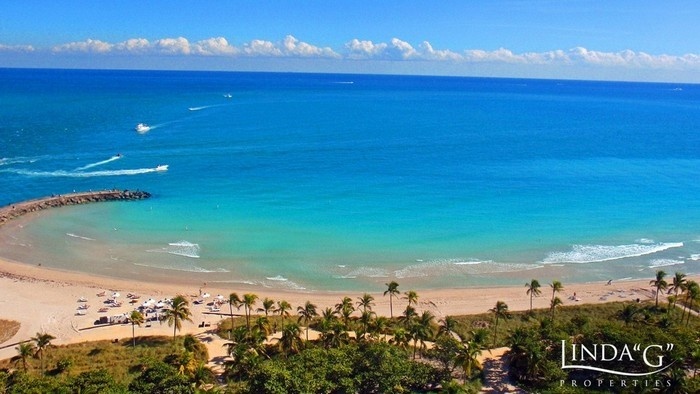 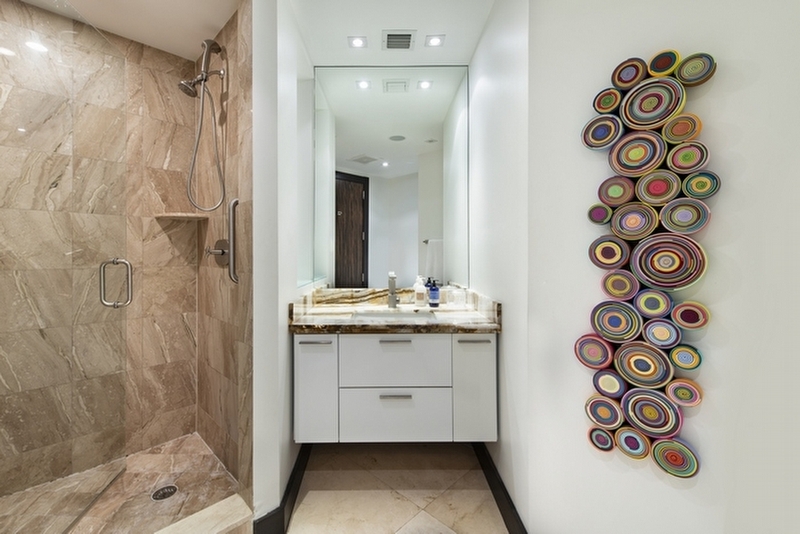 "Eighty Seven Park has a unique and highly sought after North Miami Beach oceanfront location. 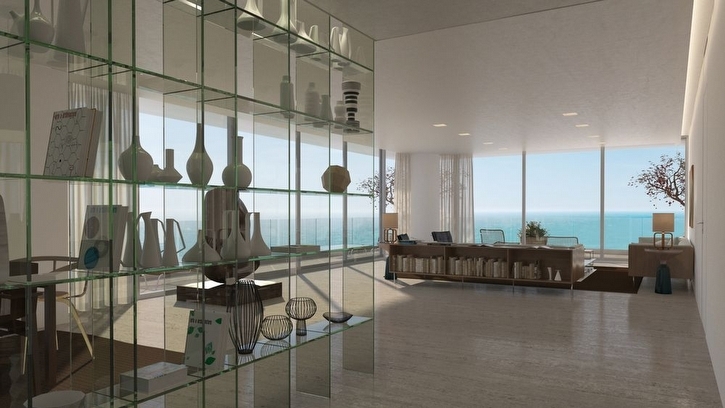 The eco-friendly and green design creates and offers a feeling of living among an expansive oceanfront park as you enjoy the social areas, and property along the ocean and beyond. The floor plans are well designed and the expansive terraces adds a large area of outdoor living space for all residents to enjoy. 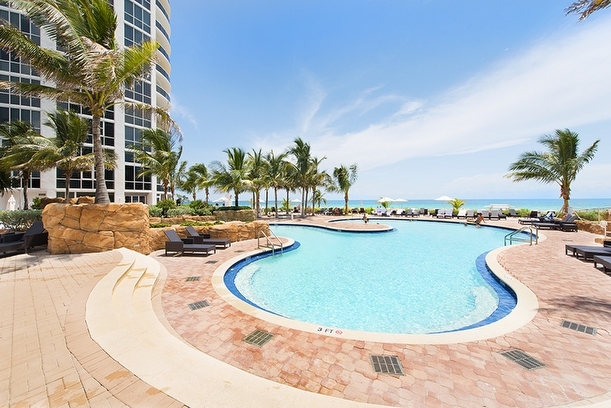 Two oceanfront pools, full service spa, private park with picnic areas and more. 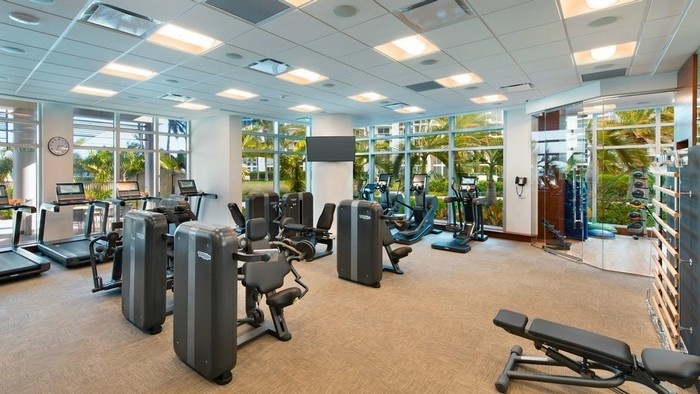 The features, amenities and services offered are 5-star and will provide residents with a resort-styled lifestyle I'm sure all will enjoy." 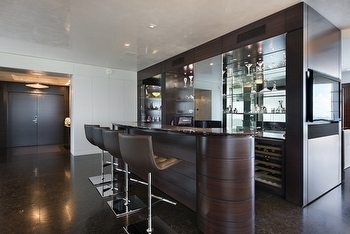 stated Linda "G". 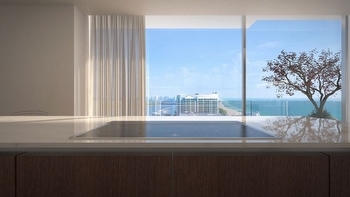 View many more renderings, photos, details and more on my Eighty Seven Park Miami Beach condos web page HERE. 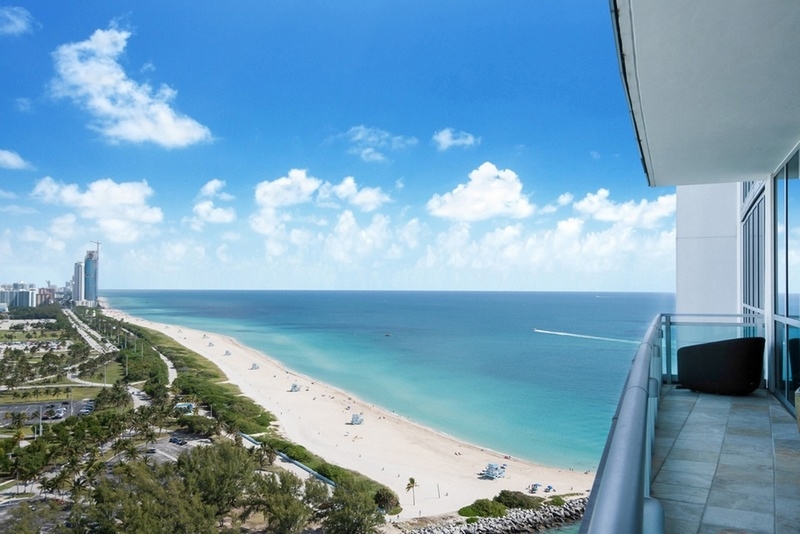 [ PRESS RELEASE – 7/29/2016 Miami Beach ] Linda “G” with ONE Sotheby’s International Realty announces another significant sale at the under construction oceanfront Oceana Bal Harbour. This near record breaking penthouse sale is one of several that Linda “G” has sold at Oceana Bal Harbour. 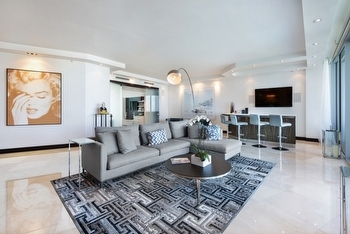 The Oceana Bal Harbour Penthouse 01N is one of only 4 top floor duplex penthouses at Oceana Bal Harbour. 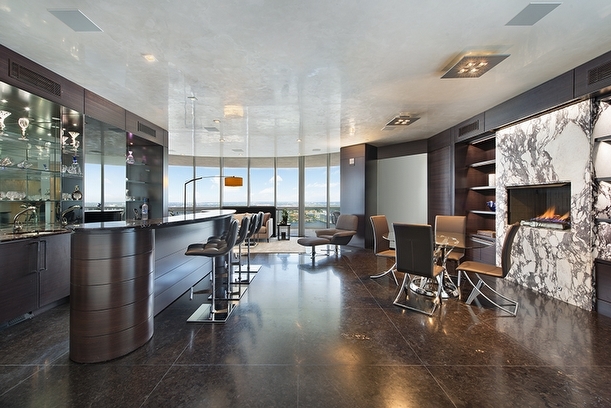 The penthouse offers an impressive interior living space of over 9,371 square feet with 9,950 square feet of 270 degree wrap-around terrace and a private rooftop deck with pool, summer kitchen and more. 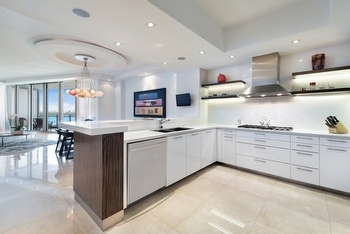 The expansive floor plan features 4 bedrooms, 7 1/2 baths, with a family room and den. 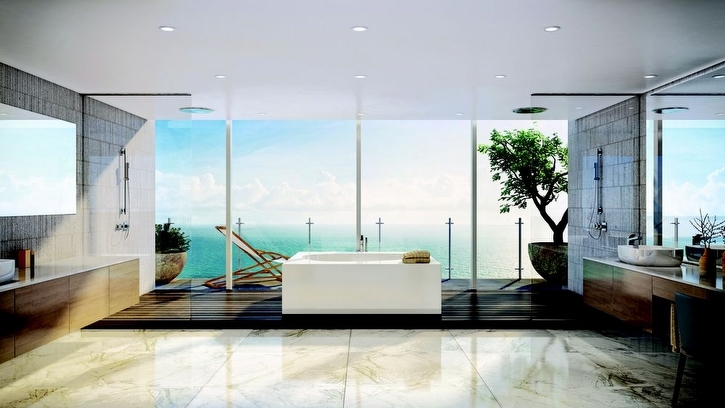 Floor-to-ceiling glass and the expansive terraces provide breathtaking views of the ocean, coastline, inlet, bay and South Florida views. Sunrises over the ocean, and golden sunset views over the bay from this beautiful Bal Harbour penthouse. 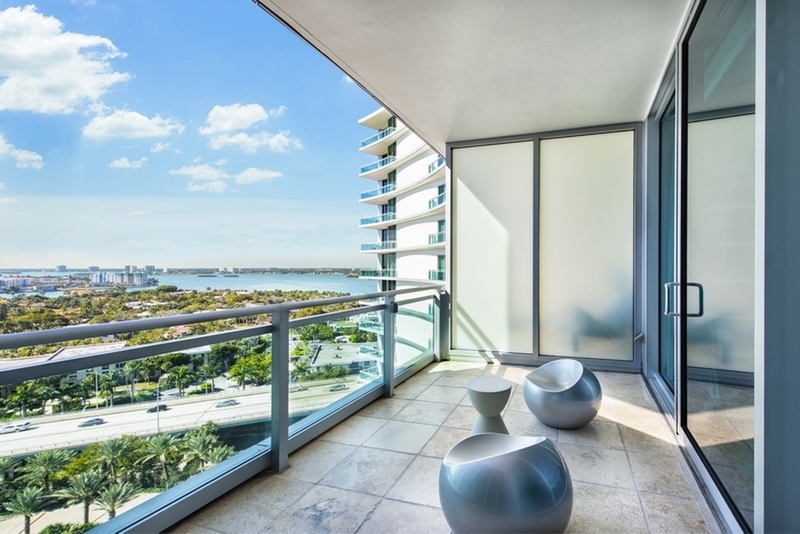 Linda "G" represented the buyer in the sale of this luxury condominium residence. Oceana Bal Harbour is located in the heart of Bal Harbour on a prime 5.5 acre oceanfront lot that was once home to the venerable Bal Harbour Beach Club. 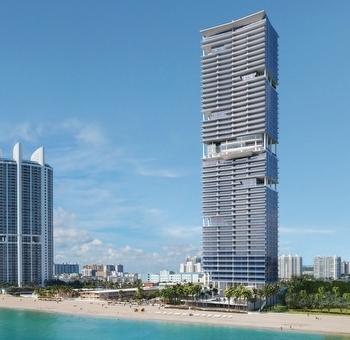 Oceana Bal Harbour broke ground in October 2013, "topped-off" in Feb 2016 and is scheduled for completion in November of 2016. 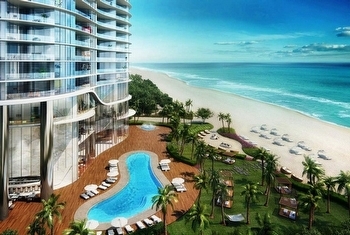 Rising 28 stories on the beach, Oceana Bal Harbour features 240 luxury residences within the beautifully designed glass tower, a wide range of 1, 2, 3 and 4-bedroom floor plans are offered, with under air square footage of approximately 1,320 to over 4,200 square feet for most residences. 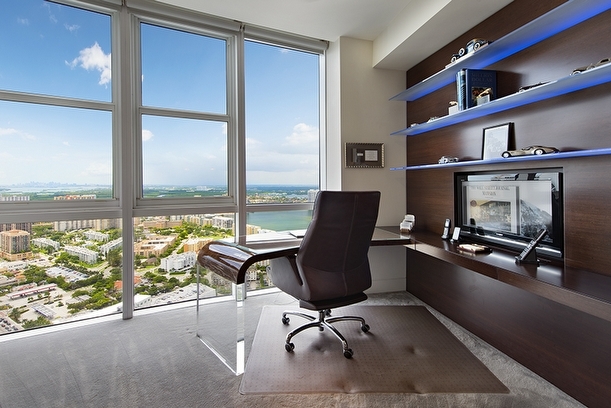 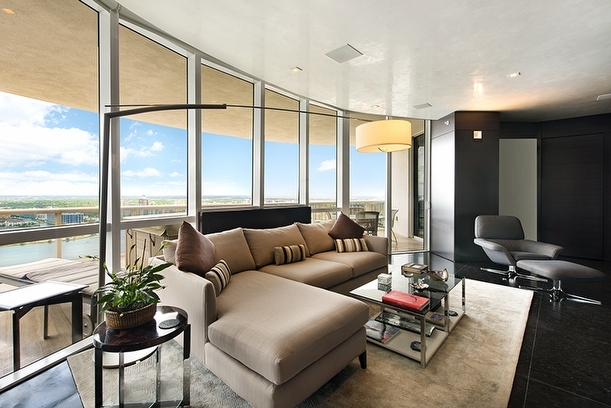 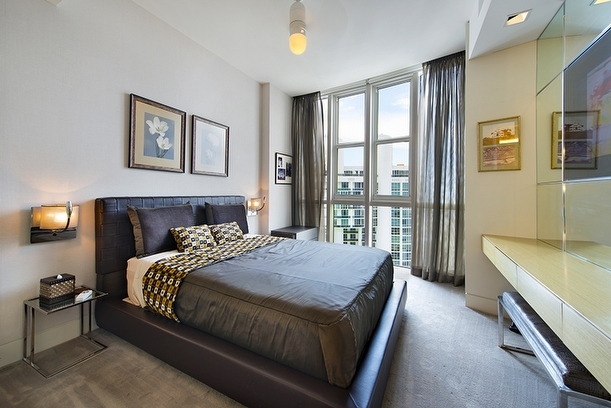 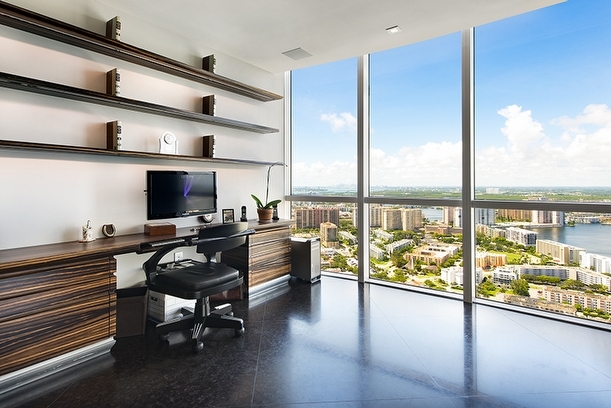 Larger high floor penthouses range in size from 5,100 to over 9,400 square feet under air. 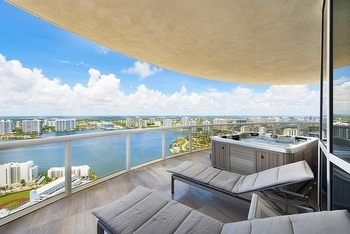 All these luxury residences feature large balconies and terraces for additional outdoor living space. The four top floor duplex penthouse homes each feature their own expansive rooftop deck with private pool, summer kitchen and more. 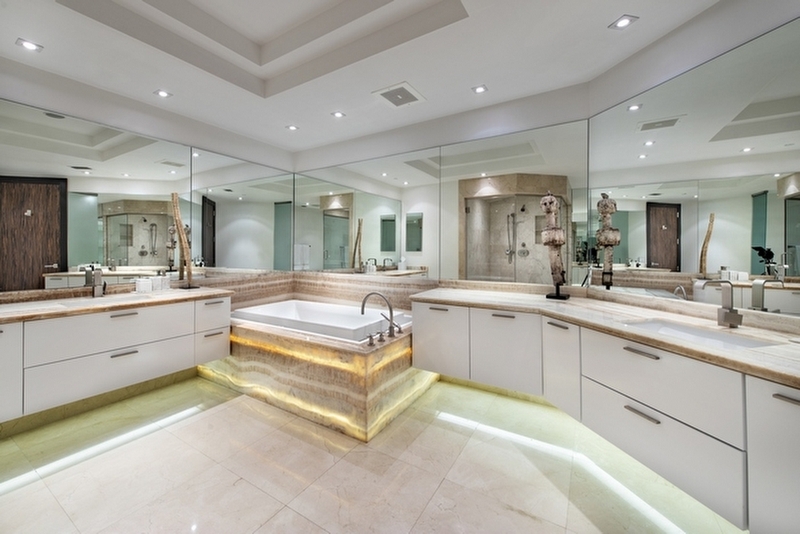 "I am so happy to have introduced my clients to the luxury property that fulfilled and exceeded all of their greatest expectations. 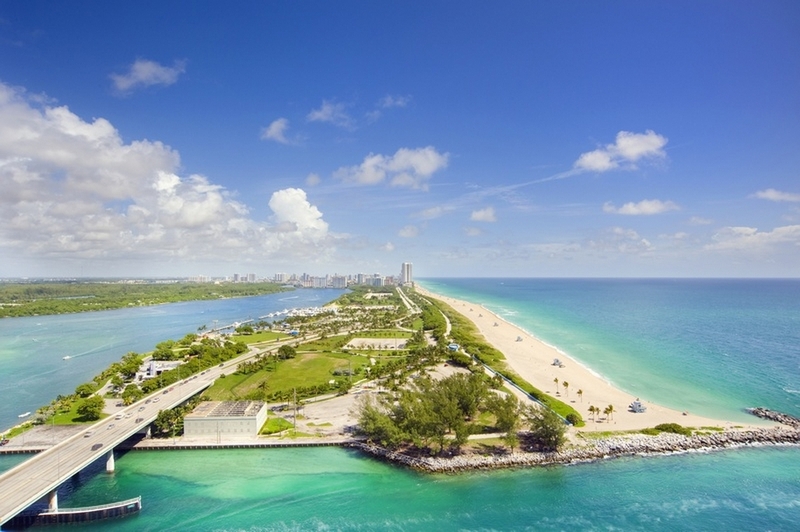 With the world-renowned Bal Harbour Shops mere steps away, along with the Ritz-Carlton and St.Regis world-class resorts just a short walk away along the beach and walking paths among the dunes, and the many nearby dining, entertainment, recreation and shopping options. The exclusive Miami Beach Village of Bal Harbour, with all it has to offer is truly a one-of-a-kind South Florida destination and city to call home. 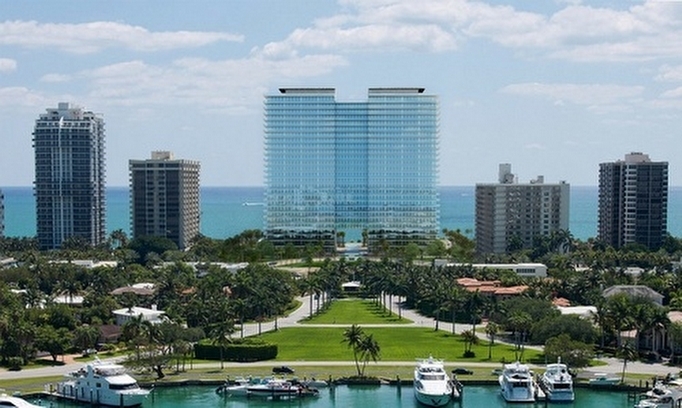 As I have long believed, that Bal Harbour is "the Rodeo Drive of Miami"." 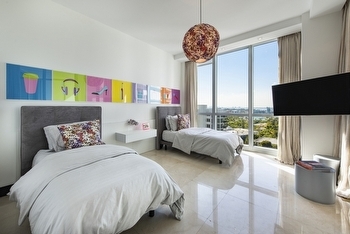 stated Linda "G". 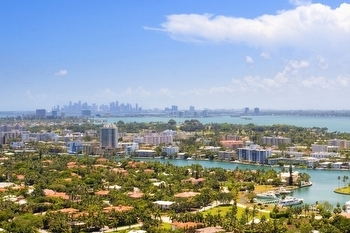 Linda "G" joined the prestigious ONE Sotheby's International Realty in 2009, providing the finest in luxury real estate sales and listings of luxury oceanfront condominium residences, and luxury estate homes specializing in Bal Harbour, Sunny Isles Beach, Miami Beach, Aventura and Fort Lauderdale locations. 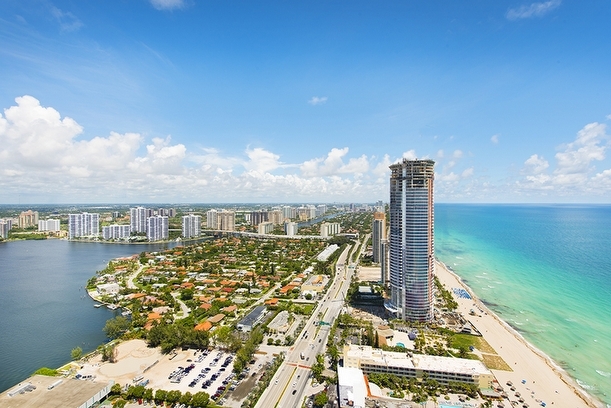 Linda "G" has been recognized each year including already in 2016 as a Top Producer at ONE Sotheby's Realty with sales in excess of $135 million. 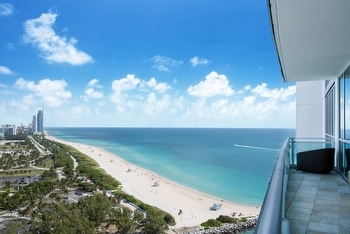 [ PRESS RELEASE – 7/15/2016 Miami Beach ] Linda “G” with ONE Sotheby’s International Realty announces another sale of a premier high floor oceanfront residence at the currently under construction oceanfront Oceana Bal Harbour. 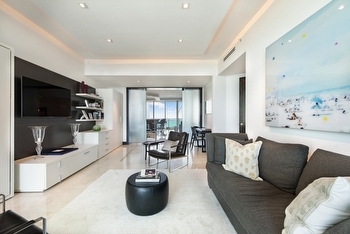 This sale is one of several that Linda “G” has negotiated for her clients at the soon to be completed Oceana Bal Harbour. 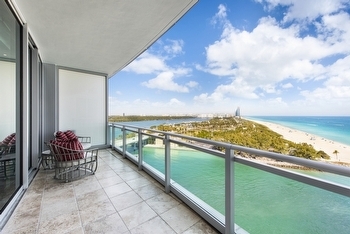 Oceana Bal Harbour 1702N residence is 3,592 square feet under air with 745 square feet of twin outdoor terraces - one oceanfront terrace, and a 2nd western terrace for bay and sunset views. The expansive floor plan features 3 bedrooms, 4 1/2 baths, and a family room. 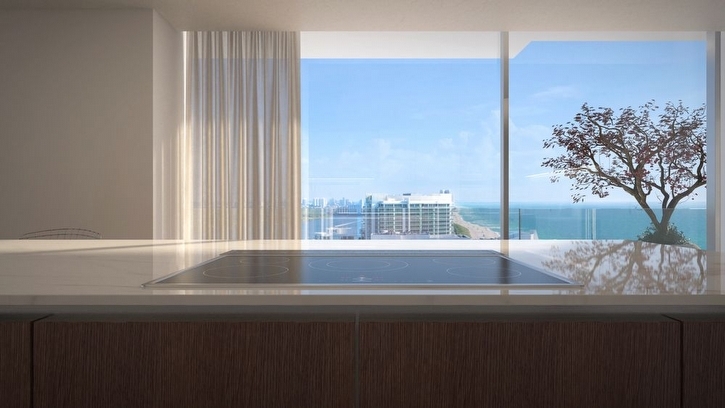 Floor-to-ceiling glass and the expansive terraces provide breathtaking views of the ocean, coastline, inlet, bay and South Florida views. 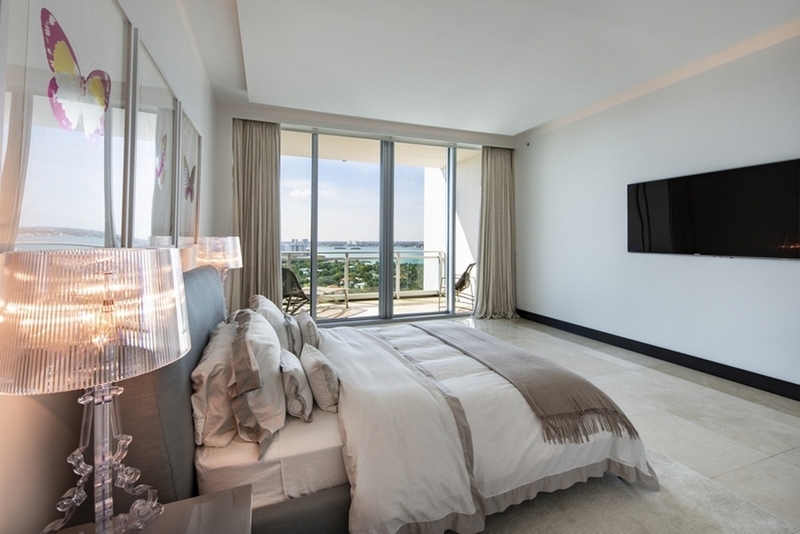 Sunrises over the ocean, and golden sunset views over the bay from this beautiful Bal Harbour residence. 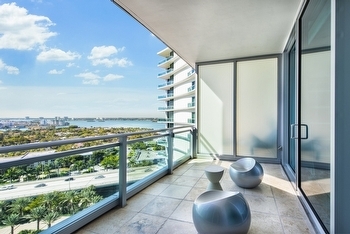 Linda "G" represented the buyer in the sale of this luxury condominium residence. 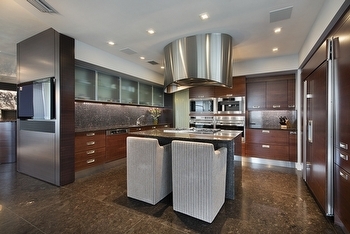 Sale price of $6,450,000. 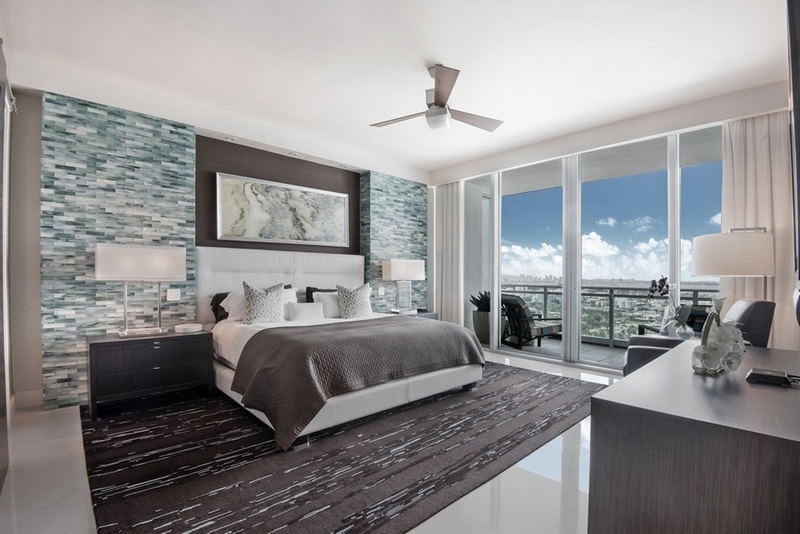 "Oceana is not just creating a magnificent property to call home, but is also creating a lifestyle and a level of luxury that is highly sought after by the most discerning buyers. From the breathtaking oceanfront views, spacious floor plans, 5-star features, amenities and services. 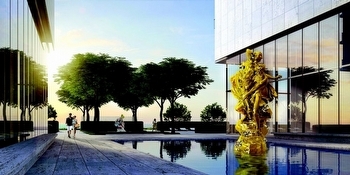 The placement of original artwork throughout the beautifully designed building, including two unique Jeff Koons sculptures, "Ballerina" and "Pluto and Proserpina" which are located in the courtyard and among the pool area among the lush gardens along the beach, this one-of-a-kind art as part of your home and owned by the residents, is a truly unique feature of Oceana. 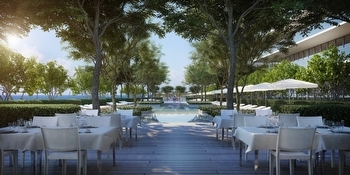 This outdoor space is the inspired vision that Oceana Bal Harbour condominium is creating. Not just a one-of-a-kind luxury property, but also a luxury lifestyle that is truly fitting of its location in the exclusive Miami Beach village of Bal Harbour." 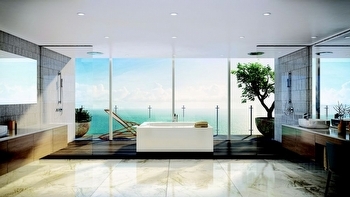 stated Linda "G". Oceana Bal Harbour is located in the heart of Bal Harbour on a prime 5.6 acre oceanfront lot that was once home to the venerable Bal Harbour Beach Club. Oceana Bal Harbour broke ground in October 2013, "topped-off" in Feb 2016 and is scheduled for completion in the 4th quarter of 2016. 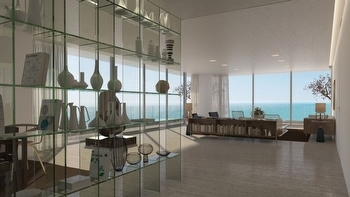 Official opening scheduled for January 2017. 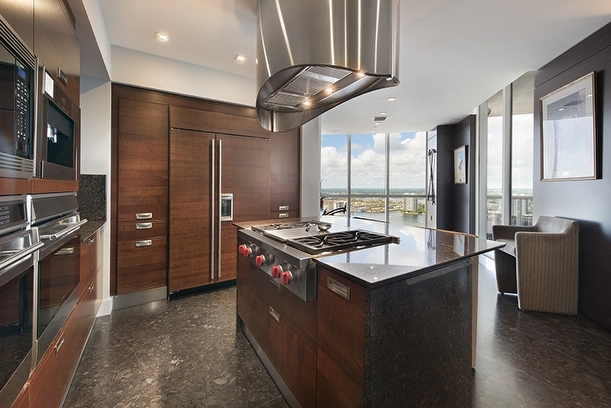 Featuring 240 luxury residences within the beautifully designed 28-story glass tower, a wide range of 1, 2, 3 and 4-bedroom floor plans are offered, with under air square footage of approximately 1,320 to over 4,200 square feet for most residences. 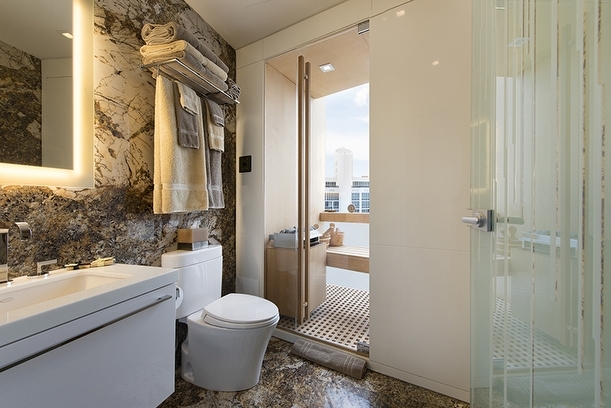 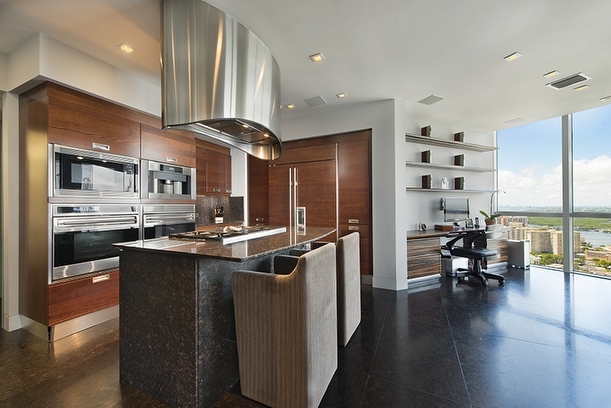 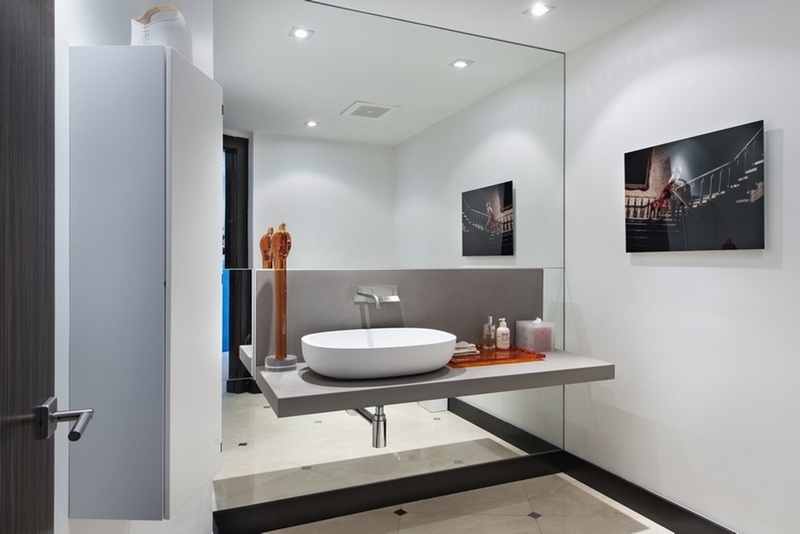 Larger high floor penthouse homes range in size from 5,100 to over 9,400 square feet under air. 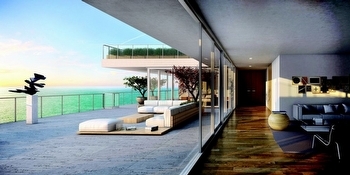 All these luxury residences feature large balconies and terraces for additional outdoor living space. 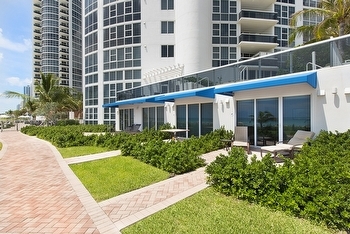 Four top floor duplex penthouse homes each feature their own expansive rooftop deck with private pool, summer kitchen and more. Linda "G" joined the prestigious ONE Sotheby's International Realty in 2009, providing the finest in luxury real estate sales and listings of luxury oceanfront condominium residences, and luxury estate homes specializing in Bal Harbour, Sunny Isles Beach, Miami Beach, Aventura and Fort Lauderdale locations. Linda "G" has been recognized each year including already in 2016 as a Top Producer at ONE Sotheby's Realty with sales in excess of $110 million. 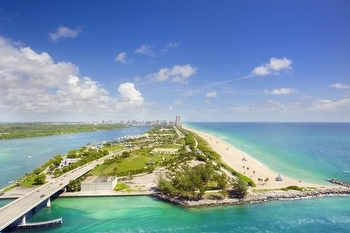 More about ONE Sotheby's International Realty & Sotheby's International Realty As one of the fastest growing luxury real estate brokerage firms in South Florida, ONE Sotheby's International Realty has nine offices in Fort Lauderdale, Coral Gables, Miami Beach, Bay Harbor Islands, Aventura, Sunny Isles, Brickell and Key Biscayne, and has recruited more than 400 agents since its inception in 2008. 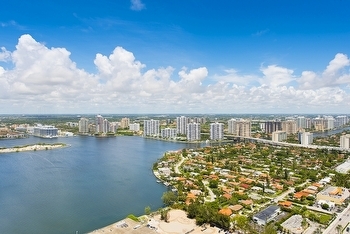 An affiliate of Sotheby's International Realty, the global network currently has more than 13,000 sales associates throughout 670 offices in 49 countries and territories worldwide. ONE Sotheby's International Realty also benefits from an association with the venerable Sotheby's auction house, established in 1744.